Here's the rest of the gang in Louisville, Kentucky this weekend. 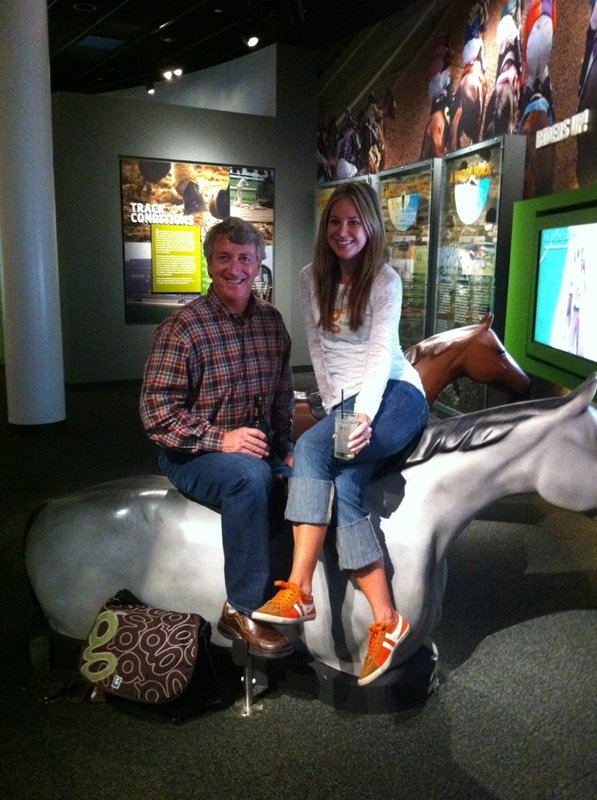 Marty is our King of Sales here with Michelle at the Kentucy Derby museum. Gilly does many things. 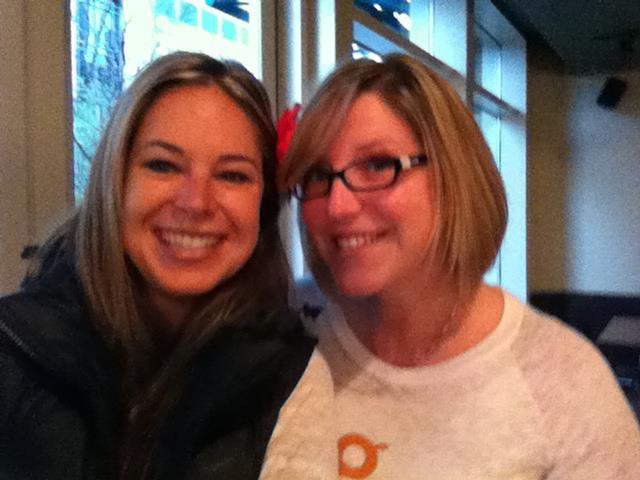 She job shares Customer Service (with Heather who didn't get to Ky) and also works on Wholesale as well as manages gHQ's space – the light, the desks, this is the important stuff! If the workspace isn't working, nothing gets done. 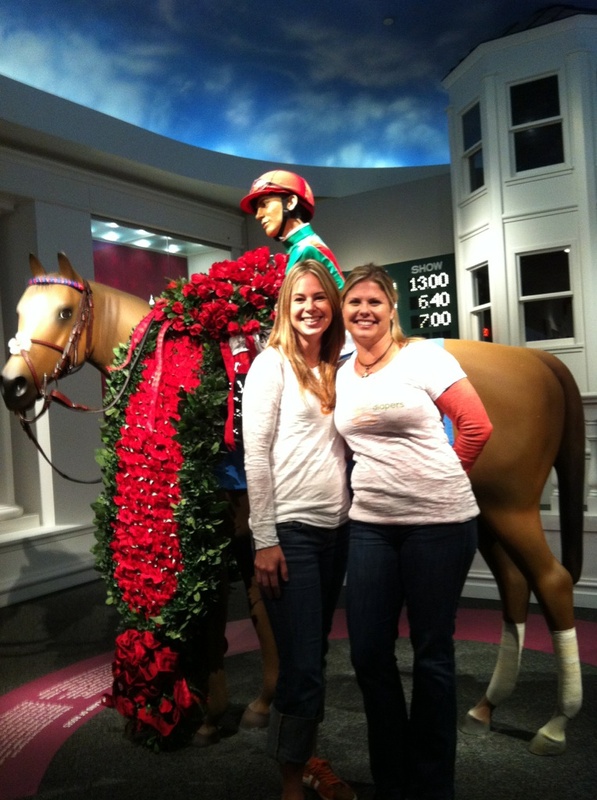 And this is Julie who co-ordinates our PR efforts with Michelle in front of an incredibly docile horse. 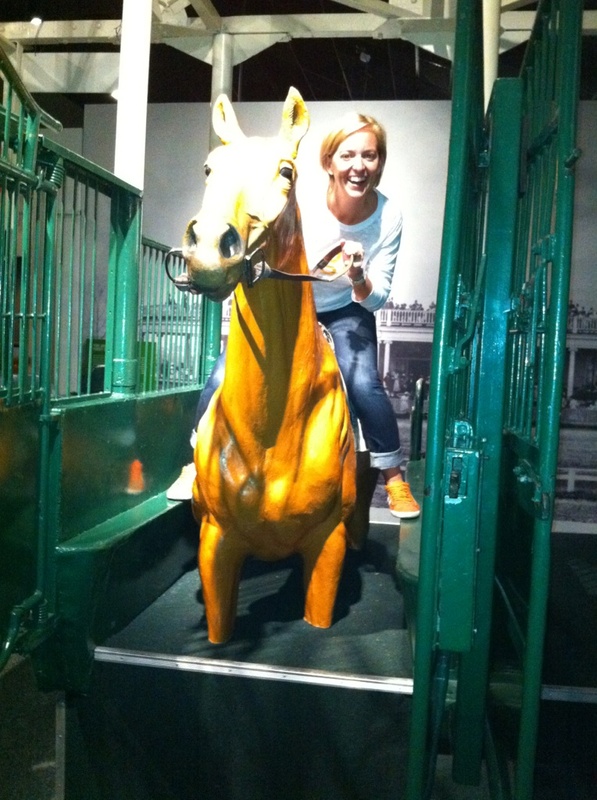 And this is Kim racing some bizarre half-legged beast at the Kentucky Derby Museum after Day One of the show. It seems to be all beer and skittles there. Previous postWhat the F&*k is cricket?